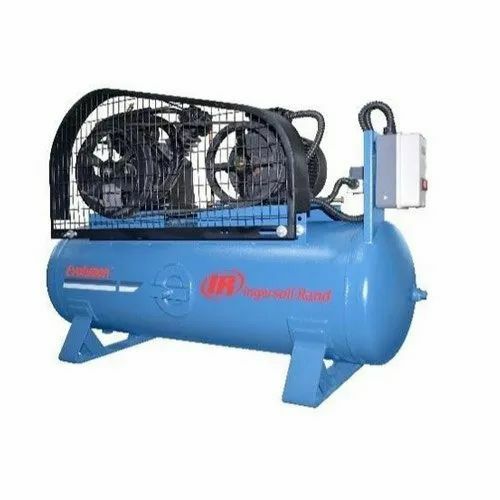 Ingersoll-Rand Two-Stage Lubricated cylinder Electric Driven Two Stage Air Cooled Air Compressors are designed to provide instrument-quality air at the highest reliability. Annual Turnover Rs. 1-2 Crore Approx. Sumved International was established in the year 2006. We are leading wholesale trader, supplier and exporter of Compressor and Compressor Parts. Our offered range is Rotary Screw Air Compressors, Two Stage Compressors, Pet Compressors and many more. Our organization is managed by a team of highly experienced professionals and we are dedicated to compressor and compressor parts. Our core business and expertise are in the areas of Designing, Developing manufacturing and also in exporting customized solution in the compressor and compressor parts in a complete package and providing long-term reliable solutions to our clients. We stringently test our range on the various parameters to assure its quality. Our aim is to offer quality products of high standards at competitive prices. We are recommended by a state-of-the-art infrastructural unit that includes a large area and is furnished with latest machines and tools for best production in a smooth and hassle free manner. The infrastructure of the company is separated into various sections such as manufacturing unit, quality testing unit, R&D and warehousing & packaging unit. Moreover, we always ensure that our products undergo daily supervision and strict quality checks on multiple parameters like durability, finishing and robustness in our in-house testing unit before they are delivered to our customers. Owing to these facilities, we have been able to dealing some brand like IR-Ingersoll Rand, Trident.